The next time your eccentric uncle gets on a tangent about how advertising and public relations is just propaganda designed to brainwash the masses, don’t be too quick to write him off. He might just be familiar with the history of public relations and the incredible influence one man, Edward Bernays, exerted on the entire industry—so much influence, in fact, that he’s regarded as the father of the public relations industry. Bernays was the nephew of influential early psychologist Sigmund Freud, and he used the teachings of his uncle to shape the industry. 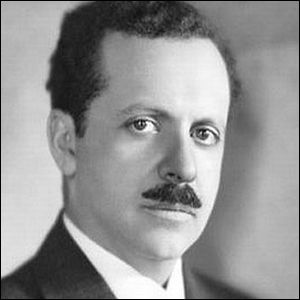 Bernays strongly believed that the “masses” are driven by subconscious desires and that a few capable people with the right tools and techniques could easily sway them to believe in nearly anything. He viewed the use of advertising and propaganda as necessary to control the public and redirect their animal energy into productive channels. In addition to his general influence on the industry, he is notable for his books Crystallizing Public Opinion (1923), Propaganda (1928), Public Relations (1945), and The Engineering of Consent (1955). Among his numerous advertising campaigns, Bernays helped convince the American public that Ivory soap was the purest soap, that bacon and eggs was truly the all-American breakfast, that disposable cups were the correct sanitary choice, and that women should smoke cigarettes because they were “torches of freedom” and would make them skinny. In addition to commercial advertising, Bernays also used his considerable skill for outright propaganda, both for the U.S. government (such as during World War II) and for corporations (such as when he helped the United Fruit Company start a chain of events in the 1950s that ultimately led to the 1954 Guatemalan coup d’état). In fact, the story of Bernays is so long and colorful, it simply can’t be done justice in a matter of paragraphs. For readers particularly curious about the man who brought propaganda to the 20th century, there is an excellent TV series documentary, produced by the BBC in 2002 and available to watch for free online, called The Century of the Self. It explored how the work of Sigmund Freud came to a sort of commercial fruition through his nephew, Bernays (and later, Sigmund’s daughter Anna)—it’s a fascinating, albeit sometimes unsettling, look at the way we’re all influenced by the information around us.